Hey everybody hope you like my previous post on Google which are About Google Augmented Glass Project by Google. Today I am going to tell you about Google Voice Search. Google Voice search is a project which is allows you to search your query with Google on your digital devices like your phone, Tabs, computers, laptops etc. Google voice project is started in June 2011 along with Google Image Search. I had also written an article about how you can search images using Google Image search. Please Read my Post on Google’s Top Ten Tricks for Searching. What is Google Voice Search? Google Voice Search was a tool from Google through which any one can make a Google query. A speak reorganization device will act as translating agent between you and search engine which translate your voice query to text query to Google. So with help of Google Voice Search service you don’t need to type a query. Instead you have to speak a query to Google and Google will show you the results. Google Voice Search was a tool from Google through which any one can make a Google query. These apps will manipulate the query and give result to the user. User have to call (650) 623-6706, it’s the number of Google voice search system. After calling the user have to wait for the words “say your search keywords” from the server. Then user has to speak his keywords as he typing to Google search box. After that the result will be delivered to user via SMS. Later this service is available by using different Google products like GOOG-411, Google maps and Google Mobile Apps. 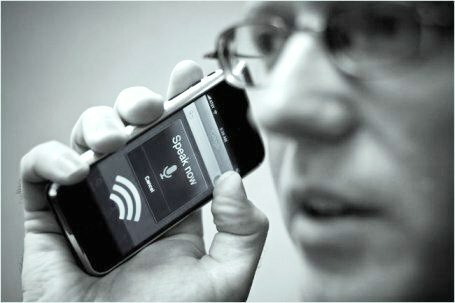 These apps are developed such that they can work on speech recognition in different ways. Later on June 2011 Google Introduce Google Voice Search for desktop and mobile user where user can speak his query directly and a speech reorganization tool will indentify your query. Google Voice search extension is available for chrome users. You can Install this extension on your chrome browser and use Google Voice Search service. This extension will provide a option near to the Google search box. It’s a microphone Icon which will be added just with your Google search box. You click that Icon and it will ask you to speak the query. After you speak the query it will display a instant result. Please Refer the below Video so that you can understand that how exactly you can use Google Voice Service and make your searching easy for yourself. Currently Google Voice Search is available for US English only. But soon Google will release it for many other languages used by different part of world Including Indian languages like Hindi and Bengali. So this is Google Voice Search which is already introduced by Google about a year ago. Many people may not aware about it so I had written this post. Now you are aware of this awesome Google feature so use Google Voice Search for your Desktop. Go to above mention link for Downloading the chrome extension so that you can get Google Voice Search Icon for your chrome browser. i like the idea....thanks for the lovely post..Keep doing the good work. How to fix not working Windows 10 Start Button ? What Are Smart phones And How to Choose the Best?